Polybutene, Phenylpropyldimethylsiloxysilicate, Octyldodecanol, Hydrogenated Polyisobutene, Diisostearyl Malate, Microcrystalline Wax/Cera Microcristallina/Cire Microcristalline, Caprylic/Capric Triglyceride, Calcium Sodium Borosilicate, Tricontanyl Pvp, Ethylcellulose, Silica, Stearalkonium Bentonite, Butyl Stearate, Isostearyl Alcohol, Hydrogenated Styrene/Isoprene Copolymer, Butylene/Ethylene/Styrene Copolymer, Propylene Carbonate, Ethylene/Propylene/Styrene Copolymer, Ricinus Communis (Castor) Seed Oil, Dibutyl Lauroyl Glutamide, Pentaerythrityl Tetra Di T Butyl Hydroxyhydrocinnamate, Sodium Hyaluronate, Tin Oxide, Mica, Hydrogenated Castor Oil, Dicalcium Phosphate, Calcium Aluminum Borosilicate, Synthetic Fluorphlogopite, Aluminum Calcium Sodium Silicate, Bht, Alpha Isomethyl Ionone, Ethyl Vanillin, Flavor/Aroma. (+/-) Iron Oxide (Ci 77491), Titanium Dioxide (Ci 77891), Carmine (Ci 75470). *Contains Carmine As A Color Additive./Contient Du Carmin Comme Additif De Couleur. 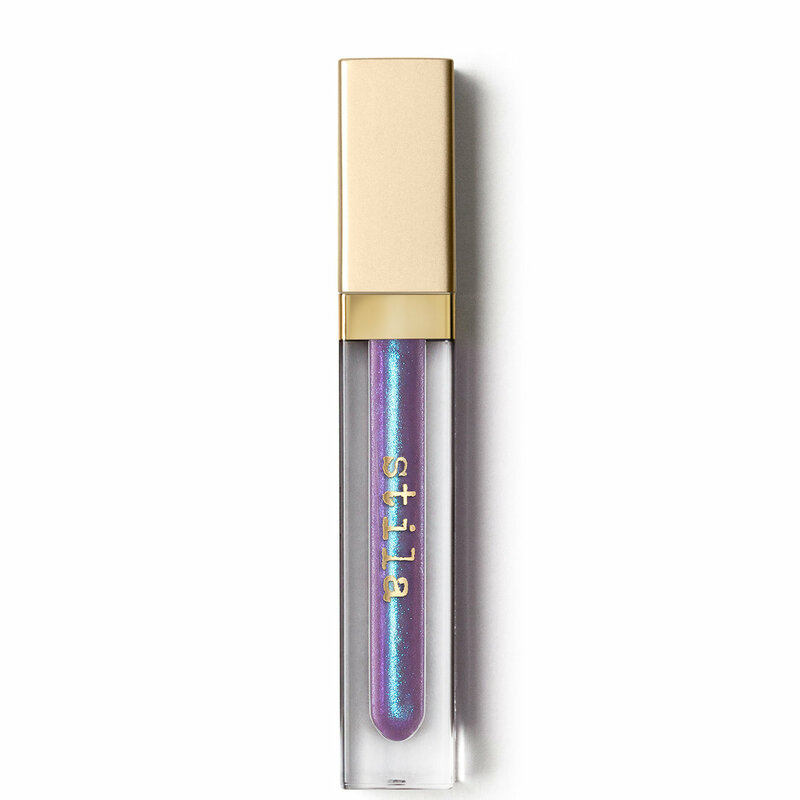 Stila's new lip gloss features the next generation of light-refracting, iridescent pearls to create intense shine, pure color, and amplified dimension. The hyaluronic filling spheres and luminous oils add natural-looking volume and glow, without burning or stinging. Soothing aloe and other botanical emollients in a sleek gel base for comfort and softness. High-performance, multi-dimensional shine, and color. Flexible doe foot applicator that effortlessly glides over any lip shape.